New York State Crime Stoppers has launched a new program to recognize civilians who assist our law enforcement officers in the performance of duty when requested. Outside of Long Island and New York City, when pursuant to NYS Penal Law §195.10 and at the command of a law enforcement officer with the elements as required, a civilian who has assisted in an arrest and/or the prevention of a crime will be eligible for a reward. NYS Crime Stoppers will, at its pleasure, pay out such rewards up to $500. Payment will be contingent upon the sworn affidavit of the requesting law enforcement officer and a verification of arrest. Payments will be made by check directly to the candidate. Anonymity will be considered upon request. 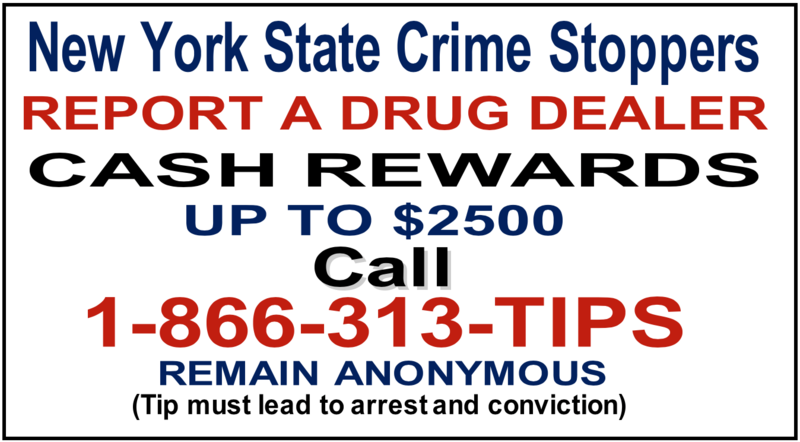 New York State Crime Stoppers has begun a third round of installing billboards around the state offering rewards of up to $2,500 for information leading to the arrest and conviction of those who are selling heroin and other illegal drugs in New York State. 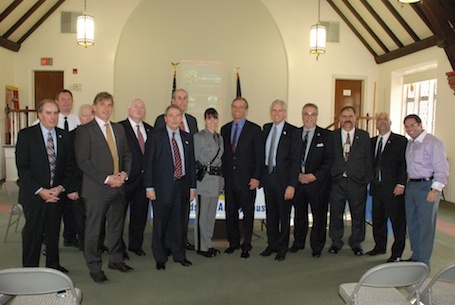 On June 10, 2014, at a joint press conference with the New York State Police and the Westchester County Police, New York State Crime Stoppers launched its Drug Tips Program. Since that day, numerous tips regarding those dealing drugs have come in to the NYS Crime Stoppers hotline. Several of the tips received by NYS Crime Stoppers have led to arrest. Over 350 tips have been generated to date. Press conference for the NYS Crime Stoppers Drug Tips Program, 2014. On June 25, 2018, NYS Crime Stoppers reached out to Lamar Advertising to arrange for billboards regarding the Drug Tips Program to be placed in several locations around the state. A substantial portion is donated by Lamar and the balance is paid by NYS Crime Stoppers. The NYS Crime Stoppers Drug Tips Program is an effort to reduce the alarming number of deaths occurring throughout the state from heroin and other illegal drug use. Dealers of these deadly illegal drugs should be aware that crime doesn’t pay, but NYS Crime Stoppers does. The NYS Crime Stoppers Rewards Program also offers rewards for reports of environmental crimes which, after referral to the appropriate enforcement agency, are then monitored by environmental watchdog groups. Robert F. Kennedy, Jr., explains the NYS Crime Stoppers Rewards Program environmental component. New York State Crime Stoppers is a 501(c)(3) not-for-profit organization that was formed to be a resource for federal, state, county and local law enforcement throughout New York State. NYS Crime Stoppers offers rewards for anonymous information that leads to the arrest and conviction of the persons responsible for particular felony crimes within the borders of New York State. NYS Crime Stoppers operates in cooperation with law enforcement, the media, the public, and the business community statewide to accomplish their goal of a safer community. The organization’s success can be attributed to the anonymity it provides callers and the cash rewards provided as an incentive. 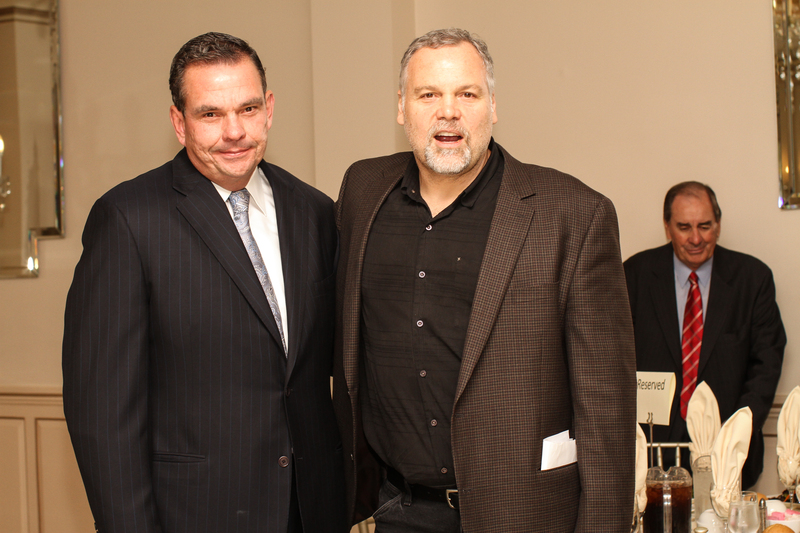 Vincent D’Onofrio, famed film and television actor and a big supporter of NYS Crime Stoppers, was also present and spoke before a room filled with police investigators and command rank law enforcement personnel. NYS Crime Stoppers Chairman, Chief Robert Pavone (left), presents an award to NYSP Field Commander, Colonel Patricia Groeber (center), alongside actor Vincent D’Onofrio (right). “Our police departments are stronger, and our communities are safer, because of New York State Crime Stoppers.” These were closing comments made by Commissioner George Longworth (left) of the Westchester County Department of Public Safety as he stood before over 200 police representing multiple agencies from six counties including Westchester, Rockland, Putnam, Dutchess, Orange, and Albany. 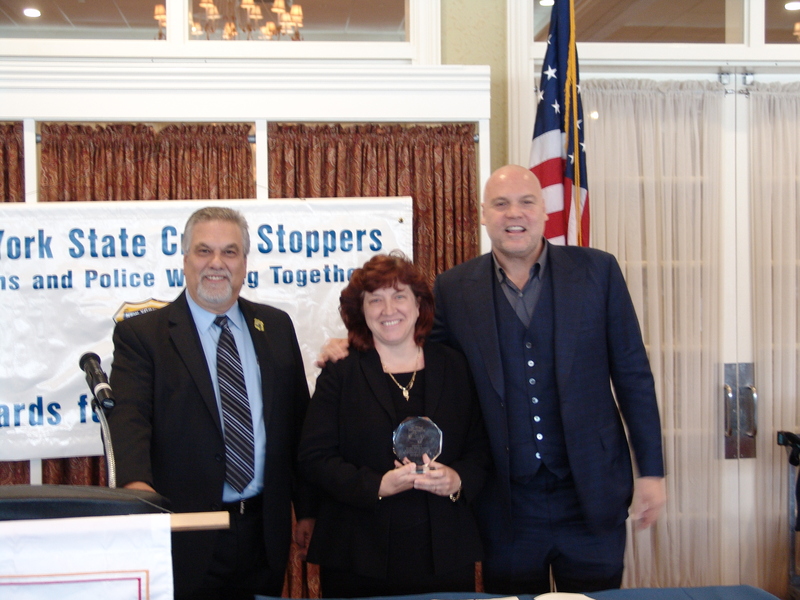 The Commissioner was one of the guest speakers at New York State Crime Stoppers’ Detectives/Investigators Luncheon held on September 25, 2015, in New Rochelle, New York. The words he spoke summed up the ultimate purpose of NYS Crime Stoppers, which exists to be a resource for federal, state, county, and local law enforcement, while making New York State communities safer. Since its beginning, this has been the purpose for this program to exist. Mr. D’Onofrio, who is a major supporter of NYS Crime Stoppers and law enforcement in general, presented an emotional speech that included his experience in touring the crime scene with police after the Boston bombings suspects were captured. He spoke of how that experience will always be with him and the respect he had for law enforcement who deal with some of the worst situations imaginable. Guest speaker, NYSP Senior Investigator Patrick Beyea spoke of how NYS Crime Stoppers recently assisted with a criminal investigation by helping them to engage the public regarding a fatal hit and run incident that left a World War II veteran dead as he went out to collect the mail outside his residence. All-in-all, the NYS Crime Stoppers Detectives/Investigators Luncheon was a big success serving as a training session, a networking opportunity, an opportunity to share a great lunch while putting a face to voices on the phone during criminal investigations. NYS Crime Stoppers is deeply grateful to our special guest speakers, Commissioner George Longworth, Vincent D’Onofrio and NYS Police Senior Investigator Patrick Beyea.